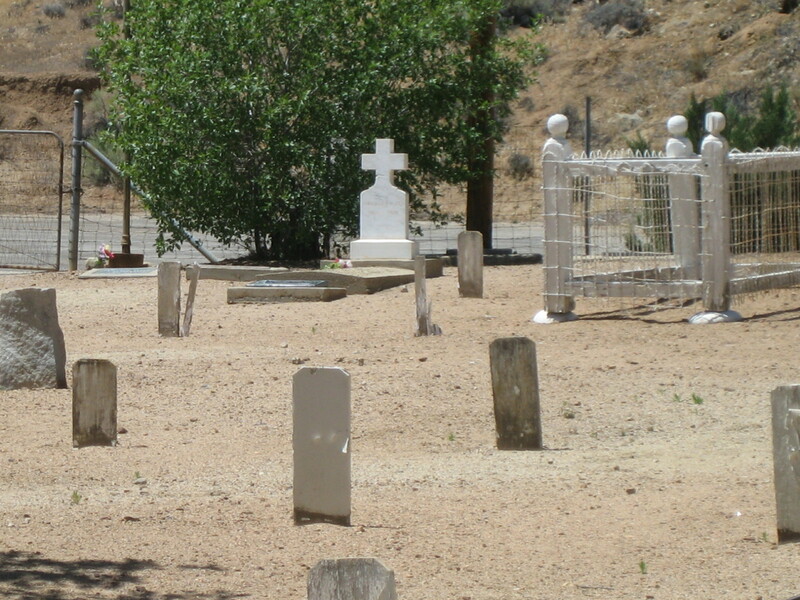 This cemetery was used between 1863 and present by the residents of “Old Kernville” a town which was relocated in 1953 because of the creation of Isabella Lake which flooded the old town site. The old cemetery is located above high water. 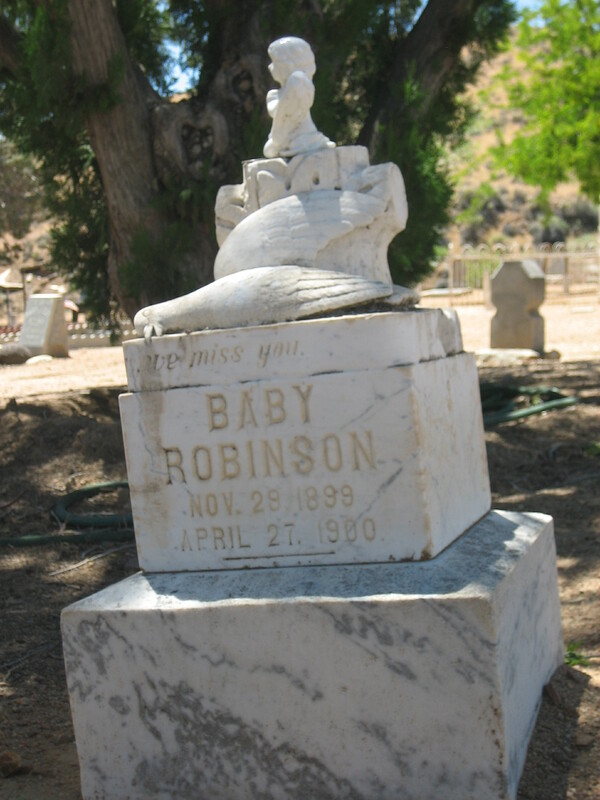 Monument at the entrance to the Old Kernville Cemetery. 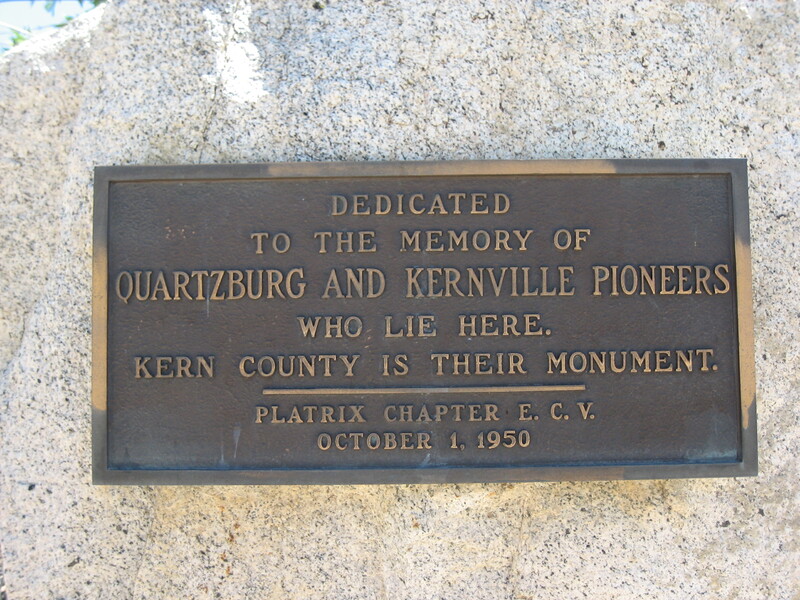 The plague says Kernville was once called Whiskey Flat. Kernville (also, Whiskey Flat, Rogersville and Williamsburg) is a former settlement in Kern County, California. It lay at an elevation of 2,575 feet (785 m). 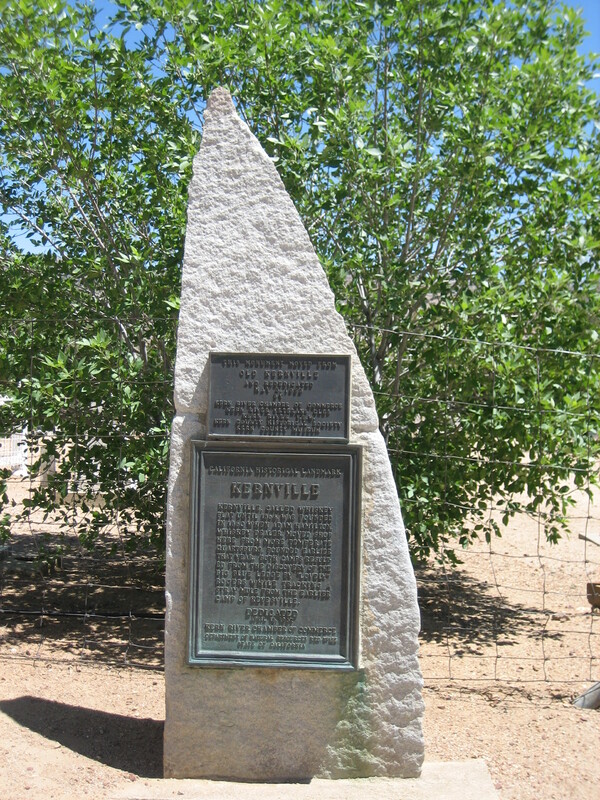 Kernville was established in 1858 as a gold camp, and was inundated by the Lake Isabella reservoir in 1954. I enjoy walking in cemeteries, especially really old cemeteries. I spent at least an hour walking around this one and looking at all the old grave sites. 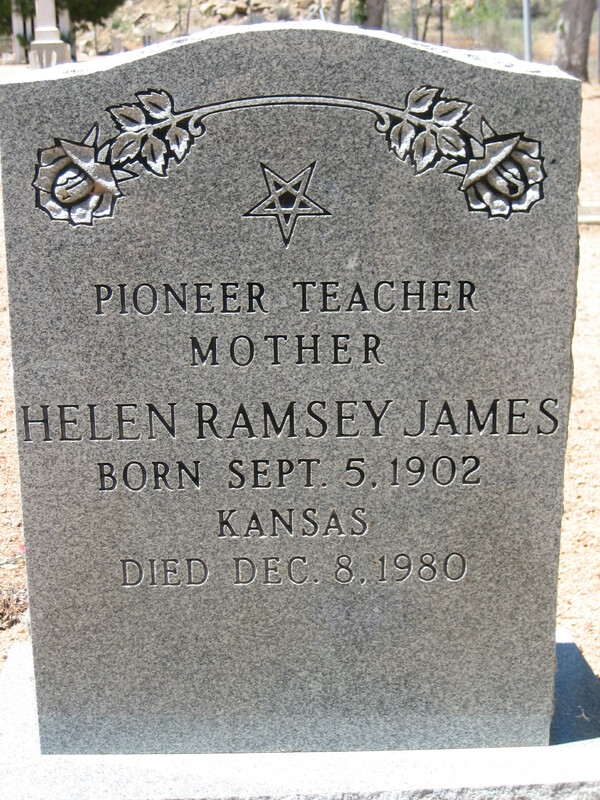 I like the inscription “Pioneer Teacher” on this tombstone. The next two photos go together. 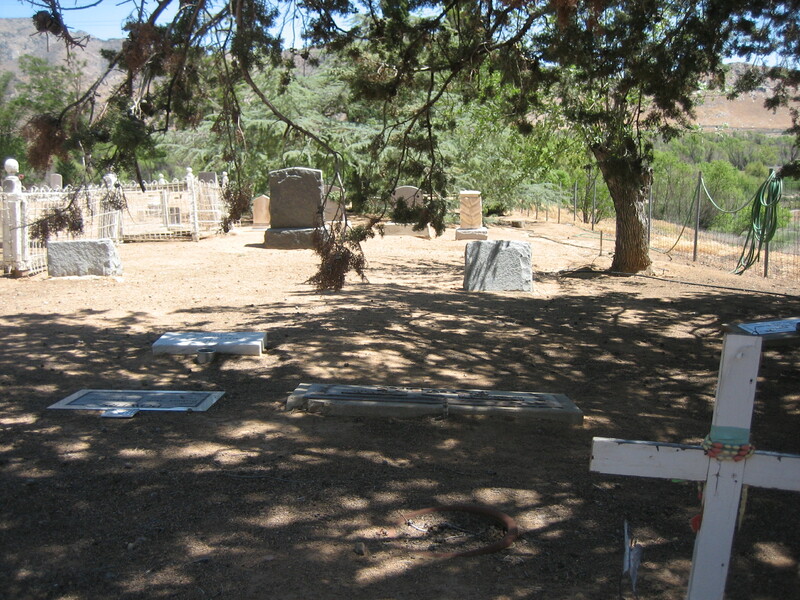 The first is a far shot of the grave site. 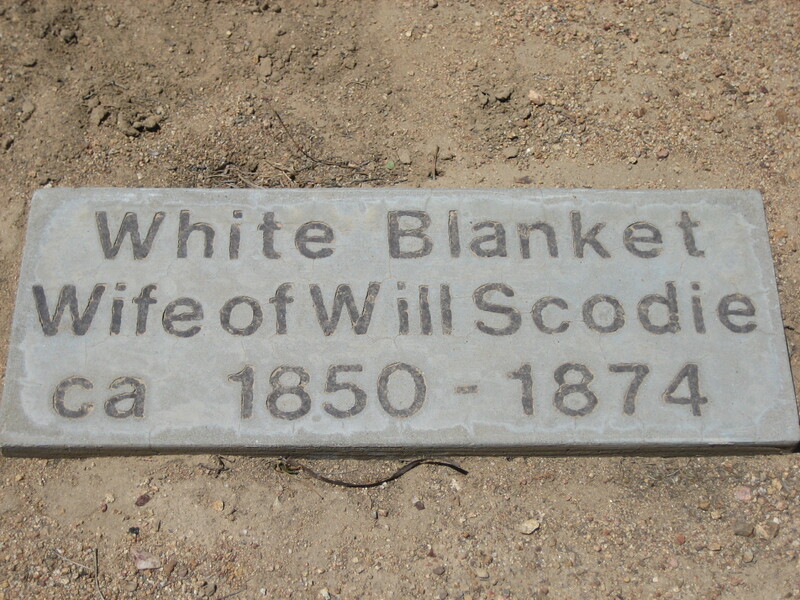 The second is a close up of the tombstone. 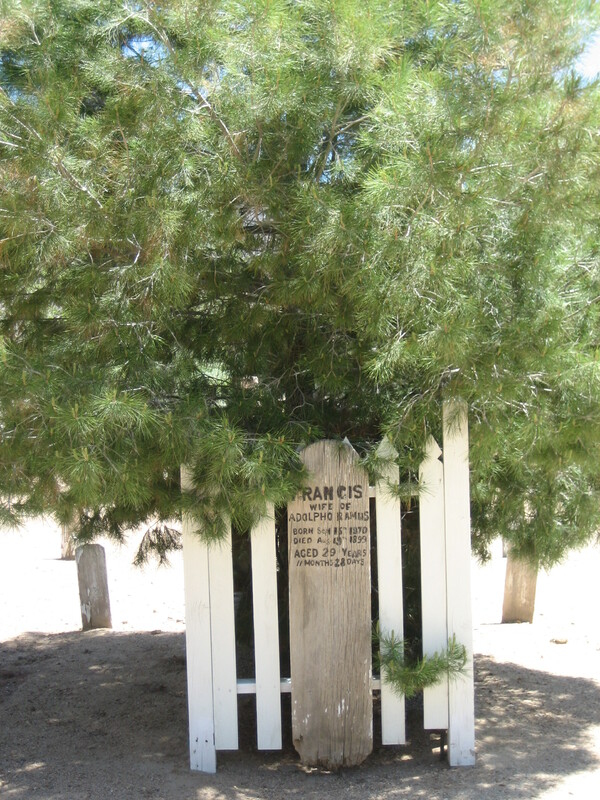 Someone planted a tree on Francis’ grave, and the tree has flourished. 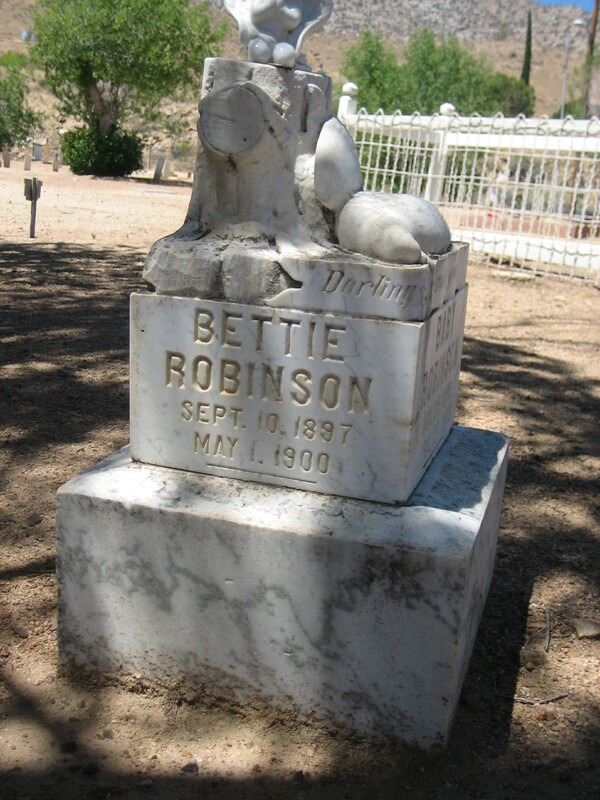 The words on the tombstone (which is actually made of wood, not stone) must be repainted every so often. I don’t think paint from 1899 would still be readable. Many of the headstones in the cemetery are small wooden boards covered in varying amounts of peeling white paint. 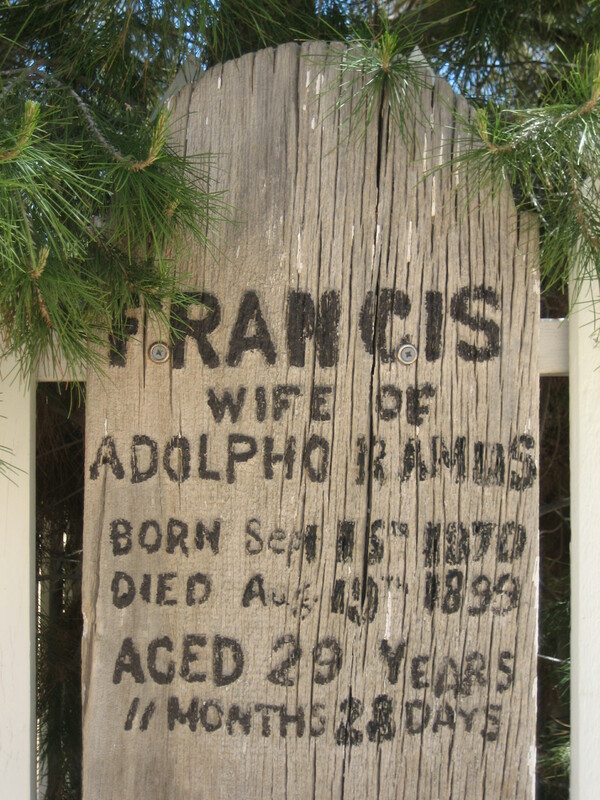 If names or dates were ever painted on these markers, such information is no longer there. A few grave sites were fenced off, but not very many. In New Mexico cemeteries I’ve visited, many grave sites have been fenced off. I’ve been told it’s to keep cattle off the graves. 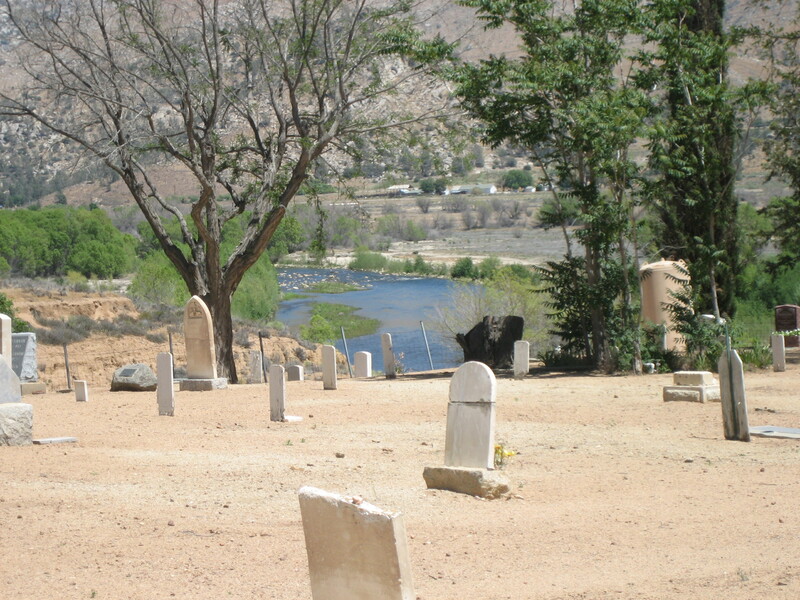 The Kern River is visible from the cemetery, which is on higher ground above the river basin. I could hear the river flowing as I walked around and read headstones. It is a lovely location. Flag and beer. A comrade must have left an offering. 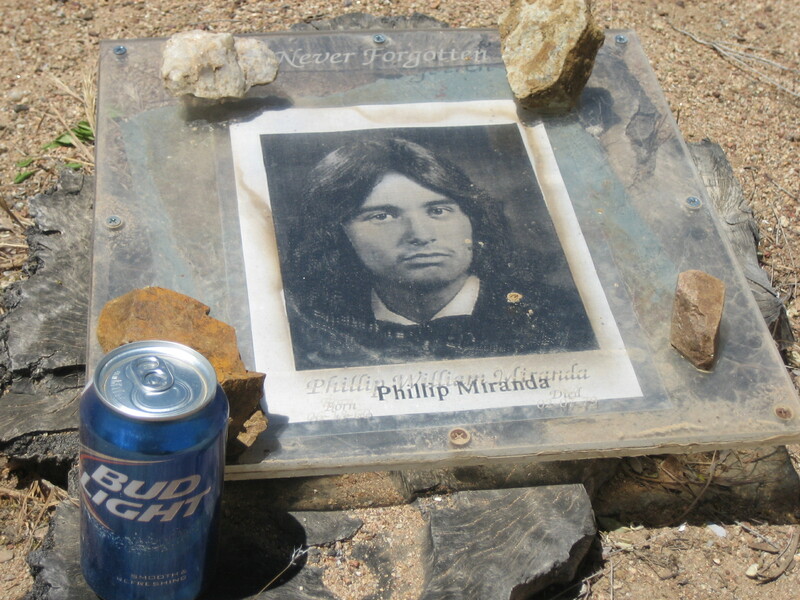 Phillip Miranda was 19 when he died. His grave was next to the other one where a Bud Light was left as an offering. 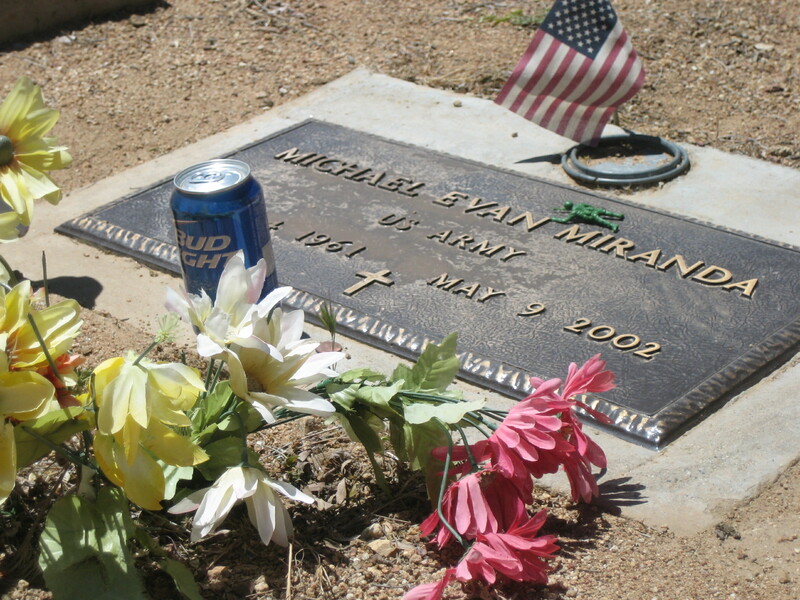 This was the first time I’d ever seen beer left on a grave site. I know about pouring alcohol out in memory of one’s homies, but I never heard of leaving an unopen can of beer. Life–and death–is different in California. White Blanket got a very plain marker. Something about the simplicity of this one, as well as the uncertainty of when when she was born, really got to me. Baby graves always get to me. 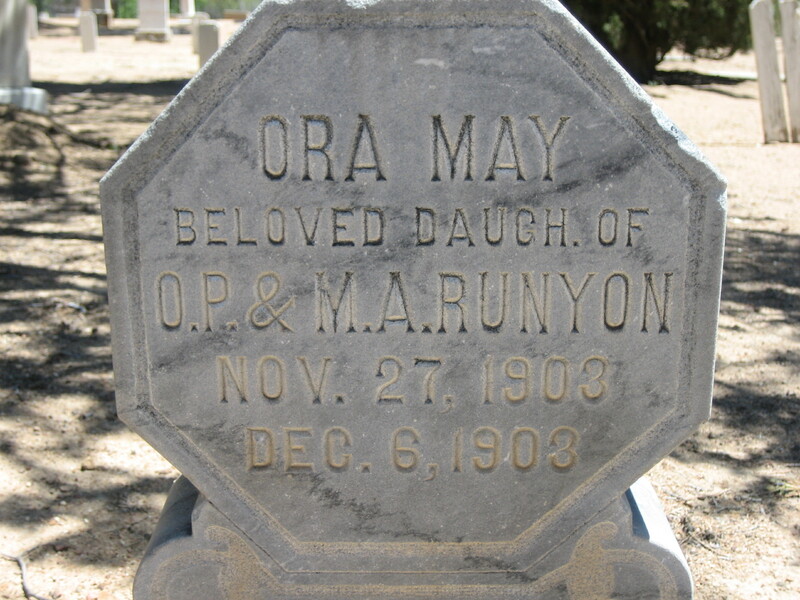 Below are two views of the same tombstone, apparently marking the graves of two children from the same family. Sigh. That dead bird is intense. The simplicity of this one got to me too. 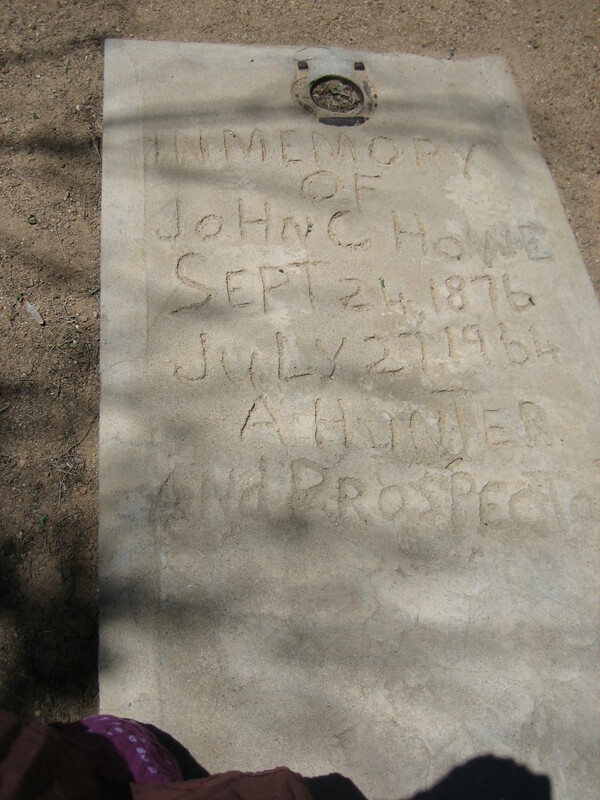 I love the way John C. Howe’s information was scratched into the wet concrete. I love that he was “a hunter and prospector.” I imagine he was a simple man with a simple death. Here’s one more view of the cemetery. I was sitting on a memorial bench under a tree, in the shade, when I took this one. I like memorial benches. It’s nice to sit in a cemetery and contemplate mortality. I don’t necessarily want a fancy tombstone, but I wonder how else anyone will remember me.